People, wildlife and businesses all rely on freshwater to survive and thrive. Yet our freshwater ecosystems are under increasing pressure. There is less to go around than ever before, and what’s left is getting dirtier as we fail to protect our rivers, lakes and streams. Given we all depend on freshwater, the global water crisis is important to all of us, including the private sector. Water stewardship is about business understanding the risks they face from water scarcity and pollution, and taking action to help ensure water is managed sustainably as a shared, public resource. Stewardship goes beyond being an efficient water user. It is about the private sector collaborating with governments, other businesses, NGOs, communities, and others to protect shared freshwater resources. WWF is helping redefine the role of the private sector in advocating, supporting and promoting better basin governance for the benefit of people and nature. "What do you know about Water Risk? WWF is focusing our water stewardship work on 15 priority river basins across the globe – all exceptional ecosystems, rich in biodiversity, yet all under pressure. From the Amazon to the Zambezi, we have leveraged our extensive local networks as well as our global expertise to develop strategies that engage businesses, communities and government to improve water management. We will raise awareness of water risks and facilitate collective action in these river basins; an essential step to reducing risk. To find out how your organization can join or contribute to these stewardship basin initiatives, click here. 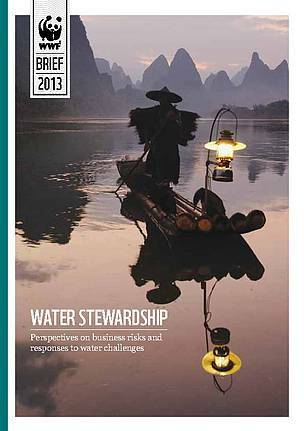 From Risk to Resilience: Does your business know its water risks? Can risk-savvy investors lead to more sustainable mining? How can you improve your water stewardship?